Barney's NY - Racial Profiling? Barney’s NY – Racial Profiling? Well, the newspapers love good stories and this last week it had a field day here in New York City. It appears that a young African American shopper was buying an expensive belt at Barney’s New York store and was stopped by two plainclothes policemen who questioned him about the purchase. I will spare you the details as I am sure you are up to speed on the idiocy of their interrogation. Here is the problem that I am having. Barney’s is a retailer who services tens of thousands of customers annually. This incident, and one other that was just reported after the “victim” discovered you can actually sue and make bank for this, seem to be somewhat isolated incidents. I do not imagine that Barney’s has a discriminatory policy against minorities as several of their brands they sell are fashioned for urban youths. Could this possibly have been extremely poor judgement by the cashier at the store, or the NYPD (they have at times shown lapses in judgement)? I am surprised that the store let the story get away from them by not addressing it immediately. How about some press showing that you are firing the employee (if it were their fault), or questioning the police. But instead Barney’s let the media go into a frenzy, which will probably result in major reputation damage ruining decades of retailing success. Let’s go even one step further! 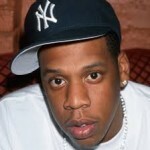 Now the call is for Jay Z to pull his products from the store! And the poor (not in the cash sense) guy is getting blasted as the bad guy for not lashing out against Barney’s. This is the ultimate in misdirected anger, and of course where there is misdirected anger there is Al Sharpton. I am certain that Jay Z is not the only African American designer with products in Barney’s and the onus is not on him to police the apparent one, possibly two, poor judgements against shoppers – which we still do not know was because of the clerk or the police department. I agree that IF Barney’s has a discriminatory policy against any race or religion they would deserve the wrath of Sharpton and his crusaders, but I believe this is far from the case here. As retailers, we can all learn a valuable lesson from this episode. First and foremost don’t discriminate and more importantly react quickly when an employee or an outside entity does something to damage your reputation and your business. By Barney’s not hitting this problem on the head immediately it has spun into a media nightmare for them, and one that will not go away easily. All it would have taken is for this mega corporation to get in front of the story, which they did not. This entry was posted in Forum Publishing Blog and tagged Barney's, Barney's New York, Discrimiation at Barney's, Jay Z, Retail News by admin. Bookmark the permalink.